If you or someone close to you has a communication disability, there are few options to help manage the challenges it presents. Privacy laws limit sharing between agencies and institutions. Transitions are opportunities for dropped communication. If the person can’t tell others about about themselves, the person may be misunderstood, ignored, underestimated, isolated, or even misdiagnosed. Making sure their needs are met can be a huge and frustrating job. 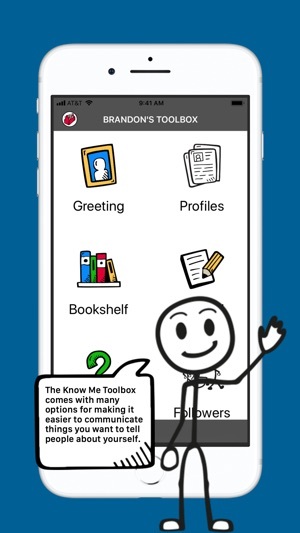 The Know Me Toolbox can help people with any type of communication disability, of any age, directly interact with important people in their lives. It can help tell the story of their past and their plans for the future, wherever they go. As you use Know Me with someone, you get deeper insights into them. People invited to the app can check in on how the person is doing even when they can’t visit or call. As you discover new things about them and share them with others, you can watch their lives improve. 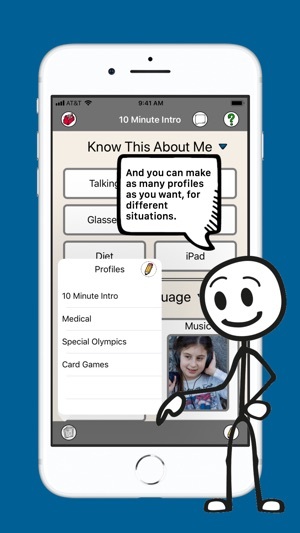 Know Me also provides a system for storing and sharing information that captures the whole person. Having one hub available to an ever-changing team of supporters results in consistency, better information, a searchable database and less administrative burden, freeing time for exploring new possibilities or just having fun together. Create compelling and easy-to-share profiles using a variety of sources. 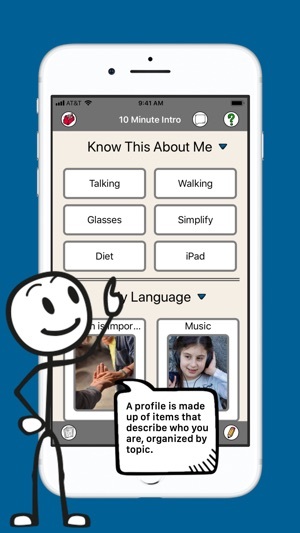 Profiles can be targeted to key people: employers, new acquaintances, medical personnel, coaches, etc. Attach lists, photos and videos to paint a vivid picture of personality, background, “language”, medical history, goals, preferences, routines, special equipment, etc. Maintaining current and accurate records for easy access is hard. Organize these records in the app, minimizing paper files. Invite an administrator to help curate it, and even attach bookshelf items to profiles. People with a communication disability may be unable to share what’s going on in their life. Knowing how their day went can help their supporters think about what they might prefer to do or what might bring balance to their lives. 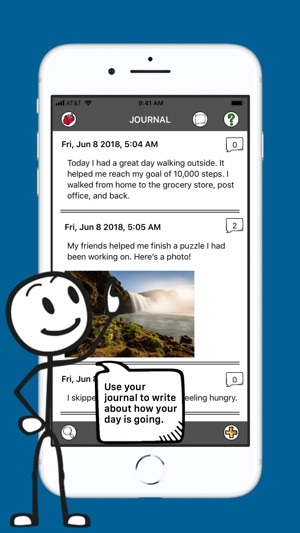 Journal entries can ease transitions and keep family and friends updated. Invite others to view Profiles, Bookshelf and Journal. Because this information belongs to the individual, they and their designated representatives are free to share it. Team members can collaborate on goal setting and reinforcement, and share ideas and interpretations of the person’s unique communication style. Administrators can be chosen to prioritize and edit this team input. 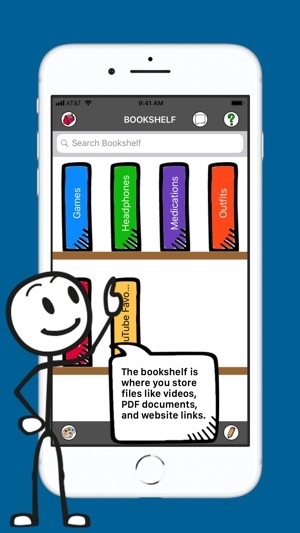 Improved performance and Bookshelf merge experience. © 2018 Know Me, Inc.